All human beings are made in the image of God. But for what purpose were you made? The biblical answer is clear: you are to imitate God in order to bring God’s presence into your life and the lives of others. This practical guidebook to repairing the world—often in simple everyday ways—details the biblical accounts of what God does, not what God says: God creates, blesses, rests, calls, comforts, cares, repairs, wrestles, gives and forgives. 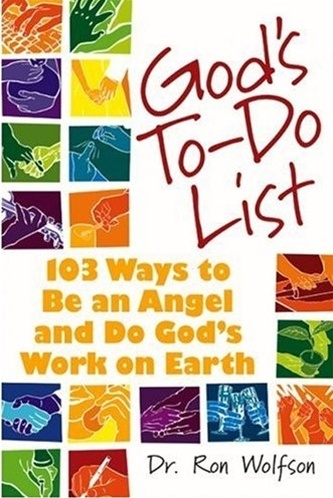 For each of God’s actions, this provocative resource suggests what might be on God’s To-Do List for you, the many ways you can make small and great differences in the lives of others and find the ultimate source of meaning for your own. 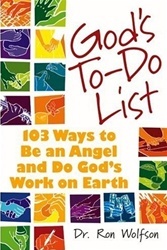 An inspiring gift to uplift your spirit and share with others, whatever your faith, you can do God’s To-Do List.